If the job requires you to stand almost the entire day, Your feet might hurt at the end of the day after such a long-standing posture. It is essential to wear shoes that would offer comfort, cushioning, arch support to relieve you from any foot pain. It doesn’t matter whether you’re a chef, cutting hair in a salon or teaching in a classroom, standing all day can be very uncomfortable and lead to serious health complications due to bad posture. Maybe you tell yourself that you just have to get used to standing at work all day, and it will get better soon. Feeling uncomfortable or having pain in your feet, ankle or lower back because of poor posture and bad shoes after a hard day of work should not be taken lightly. Don’t go for shoes with flat outsole; You should get shoes that have an elevated heel by at least 1/4 inch, and no more than 2 inches; This comes from the recommendation published by the Occupational Health Clinics for Ontario Workers Inc. The material should fit your workspace environment. If you work in a kitchen, you might want to have shoes that are slip resistant. If your choice is tennis shoes or athletic footwear make sure they have proper arch support and cushioning. The weight of the shoe; Be sure to wear light shoes. Be careful about the width of the shoe, too narrow will hurt your toes and too wide your feet will become unstable. 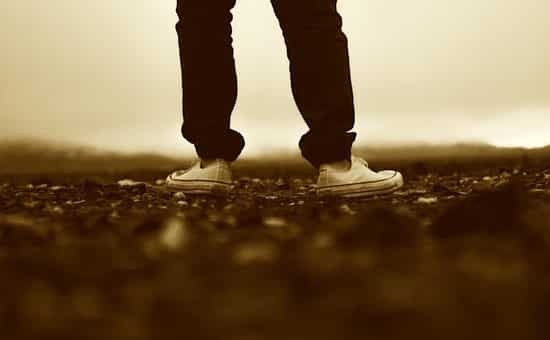 You should always try wearing and walking with the shoes you intend to buy, in order to determine what is the most comfortable shoes for your specific feet. These are the key elements that you want to have in mind when you’re looking for new shoes that are great for standing all day. Trying out a few pairs will go a long way and once you found something that suits you it’s well worth the effort. If you already own a shoe that you like but are not happy with the comfort, it might be a good idea to try out a new insole, especially the case if you notice that your shoes wear off uneven. Find below some of the best shoes for standing all day that offers not only extreme support but also assists in maintaining healthy posture. The New ASICS GEL-Nimbus make use of FluidFit technology, which are stretch reinforcements and multi-directional stretch mesh combined to create a perfect fit. Forefoot and Rearfoot and GEL-Cushioning framework providing better support for body and foot structure. Excellent shock absorbent and cushioning making this shoe a very comfortable one. Impact Guidance System (I.G.S) allowing the foot to perform in a more natural manner resulting in a healthier foot motion. The New Balance 1540V2 are athletic shoes available in a wider width that provide stability and structured posture and lower body alignment. These shoes are known for their extra width – up to 6E – the widest possible. Ultimate lateral and medial rearfoot stability achieved by the symmetrical ROLLBAR technology. The upper mesh is lightweight and highly breathable, perfect for people who suffer from bunions. Synthetic complement for stability and structure to provide extra support to all your activities. These shoes are perfect for running or walking and in our opinion are the best sneakers for standing all day long. This is the second version of this shoe, and it is even better than the previous excellent version. Comfortable and slip resistant the Bistro Clog is the perfect choice for anyone working in the food industry that are on their feet all day. Being launched in 2002, these types of shoes have managed to grab the attention of millions of people around the globe. These are quite comfortable and can be worn throughout the day. It is made from the material called Croslite which offers complete support to the foot. The foot issues like arches are also well supported; needed especially when people are on their feet the whole day. You will not experience any odor and can be easily bleached or washed. It is designed in a manner that the feet can freely and naturally move and speed up. You can have a more secure fit due to the back straps. All in all, you will enjoy these shoes as they are excellent shoes for those who work on their feet all day. This shoe is widely recommended as one of the best shoes for kitchen workers. You cannot go wrong with the Alegria Clog for comfort and support that will protect your feet against the pressure exerted on your feet while you stand. It suits the needs of all professional people as they are extremely comfortable and will relieve you from any pain. They appear to be little different when compared to the traditional shoes. The non-slip polyurethane outsole is a great feature for people who work on slippery surfaces all day. It suits the ones who wish to wear a low back pair of shoes. It is stylish and is the most comfortable shoe for those who spend long hours on their feet. It will exempt you from any foot problems. Thanks to the Nylon stability shank embedded into midsole, these exceptional dress shoes provide exceptional cushioning and arch support that helps reducing fatigue during long hours of standing. These shoes are an excellent option for those who need arch support in great looking dress shoes. Comfortable and breathable shoes with a classic appearance that are the best supportive shoes for standing all day on your feet. These shoes have a classic look and are very comfortable to wear. The Ortholite® footbed provides cushioning and support for the feet. Breathable leather will eliminate sweat from your toes. Their extended sizes, wide widths, and the attractive style make them a perfect match for everyone who is looking for the best shoes for being on your feet all day long at work, travel or any long hours activity. The Dr. Martens Gibson will relieve excess pressure on your feet from long-term standing as it is a durable and heavy duty comfortable work shoe. It is one of the high-quality brands which offer immense comfort to the wearer. The treated leather in these shoes eradicate fungal infections and do not let the moisture crop in. The height of the shoes is perfect to balance a good posture as it will then relieve the excess pressure on the hips, ankles, and knees. It is suited for any heavy use and is slip-resistant in nature. The stitching aspect is also good, and any part can be replaced easily, without any hassles. Propet shoes are stylish and comfortable providing great support and grip. These shoes are more stylish and fashionable in look. One can choose from a wide range of sizes and widths available. These shoes have a professional look and are very comfortable shoes for standing all day. The material used in making this pair is high-quality leather. These are perfect to be used even in a harsh working environment. The sole is made of rubber and is quite thick in nature, thereby fulfilling your official needs. Its inherits cushion inside gives you a better posture while standing. The Dr. Comfort shoes are comfortable and flexible therapeutic shoes for standing all day. Even if you don’t have Diabetes – This is the right shoe for standing long hours. These shoes by Dr. Comfort are stretchable shoes with excellent quality. They will accommodate, snug and protect your foot while standing. They have an excellent orthopedic design and soft buttery leather. These shoes come with Dr. Comfort Gel Insoles who will provide extra support on top of comfort. The men’s version comes in black or chestnut, and the women’s version in black or beige. One of the finest casual dress walking shoes that have been handcrafted to perfection, the Mephisto is a comfortable dress shoe. With a motto like “Finest Walking Shoes,” these are the best dress shoes for standing long hours at work or the office. A great selection of various colors and available for these shoes. Handcrafted to perfection, these are both comfortable and aesthetically designed. It combines the flexibility of natural leather with a virgin latex foam mid-sole, to give you the ultimate in comfort and support while you walk. Utilizing Soft-Air technology provides effective shock absorption and grant one a comfortable experience while being on your feet for long hours. These are very expensive shoes but will last you a very long time. The Timberland White Ledge is a comfortable and durable work shoe that has added padding and cushioning. These shoes are great for look and usage because they are hybrid. The making involves modern and latest technology so is exempted from any major pitfalls. The materials used are high in quality thereby giving it a more functional look. The features it inherits include durability, comfort, support, lightweight, and so on. The height of the boot is perfect for providing stability and can be cleaned easily. The air can circulate freely inside the shoe thus making it suitable to be used for an entire day. Padding inside the shoe makes it a perfect buying item. Under Armor is one of the most popular names when looking at work boots and the featured model is one of their best ranges. crowd. A high-quality synthetic material that is breathable and waterproof ensuring that your feet stay dry and fresh. Durable boots that will last a very long time even with tough use on various surfaces. Full-length Micro G® foam, which adds a cushioning layer on foot without making it heavy on the feet. Foot-strike Guidance System – known for the responsive cushioning which is a significant advantage when standing and walking all day. Made in the USA in the Ohio facility, ensuring a quality made product (opposed to Chinese manufactured product). Medical-Grade Foot Support: Semi-rigid shell give you flexibility and full arch support. Double Layer Foam Cushioning: for maximum cushioning and enhanced comfort. Anti-Microbial Fabric: Keeping your feet fresh and bacteria-free. Thre are quite a few long-term complications that can develop after not only prolonged standing but also prolonged walking or run. Most complications arise from prolonged standing several times a week which is usually because of a person’s career. Occupations such as retail, bartending and waitering, security work, catering hair styling amongst others are all occupations where you are required to be on your feet for prolonged periods of time. When you have a proper posture your spine is neutral but when you slouch your spine is abnormal and your posture improper. Standing for too long can affect your posture and in return cause your spine to bend abnormally causing slouching. Slouching can affect the curvature of your spine causing permanent damage as well as back pain. When your veins become enlarged and twisted particularly the veins in your legs and ankles or feet they are called varicose veins. When you stand for extended hours the blood in your body is pulled downwards by gravity to the lower parts of your body. Mechanisms in your body such as the vasoconstriction and valves in the veins help to pump blood upward, and valves prevent the blood from flowing backward. With extensive prolonged standing, these mechanisms and valves are weakened and eventually fail so the blood is no longer prevented from flowing backward and is pulled down by gravity. Blood is drawn into the legs feet, and ankles are forcing the veins to expand to accommodate the extra blood. Standing for a very long period changes the distribution of blood in your extremities causing blood to pool which reduces blood circulation of the plasma volume that causes hemodynamic changes in your body. These hemodynamic changes cause an ischemic heart disease or a cardiovascular disorder called Carotid Atherosclerosis. Standing can place a significant amount of pressure on the joints in your hips, knees, ankles, and feet, causing reduces lubrication and cushioning of the joints which then become torn. Combining the pressure of standing and tearing of the joints can cause an enormous amount of pain particularly when you try to walk. Muscles that are kept in a constant position of stress from standing can quickly become exhausted resulting in pain and swelling of the legs, feet, ankles and lower back. Taking short breaks in between standing can substantially reduce muscle fatigue. Stretching exercises to strengthen the muscles will also help to fight muscle fatigue caused by prolonged standing. These are just a few of the serious issues that can occur if you are on your feet for extended periods of time particularly if you are also wearing inappropriate shoes that do not provide adequate support. Any shoe with a firm and thick sole that also provides good arch support is an excellent choice for standing, particularly on hard floor surfaces. There are shoes made specifically for healthcare professionals as well as work boots that reduce strain on the feet from standing all day. The best type of shoe for standing on concrete all day is a tennis shoe because it is designed to be used on hard courts. Added cushioning absorbs shock and reduces foot fatigue by providing comfort and support to the feet. Make sure that your shoes are not too loose to cause chafing and blisters and also not too tight squeezing the feet. Your shoes need to be the correct size and width for your foot type. A shoe with a removable footbed allows you the use of your own insoles or orthotic devices. A well cushioned and supportive insole can be quite helpful and will relieve the pressure on your feet due to standing for long hours. It is of vital importance to wear well cushioned and supportive footwear when you are someone who is standing on their feet for extended periods of time on a regular basis. Wearing inappropriate footwear can cause pain in your heels, knees, and back and can also develop other more serious and severe long-term conditions. The best shoe types for standing for extended hours on a regular basis are shoes that fit properly and comfortably without squeezing or causing any irritation, as well as shoes that are well cushioned and supportive. A thick outsole provides excellent shock absorption and reduces strain on the feet. Some people may require a more cushioned shoe for their foot type, while others need stability or motion control shoe, this all depends on your foot type, pronation and if you have any foot or other medical conditions that have special requirements. Therefore it is advised to look for the best shoe for your foot type as well as that provides the appropriate support for standing for extended periods of time. Hello, my father works as a cook at a restaurant. I am looking to get him comfortable shoes, that also that have anti-slip properties. He works 8 hours straight almost every day of the week. Do you have any recommendations for him? If this is not his type of shoe – we have an article with a great list of the best shoes for kitchen work. Hi I’m a diabetic and work retail standing and bending for 9 hours a day what shoes would you recommend? I would recommend shoe #2 and shoe #3 from the list above for your condition.